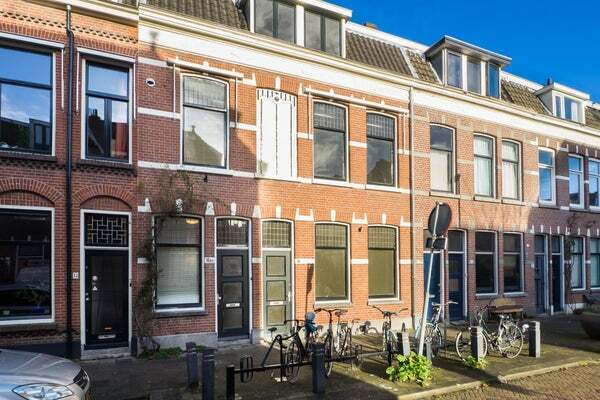 In Utrecht Oudwijk on the Prinsenstraat we offer this beautifully upholstered 5 room apartment of approx. 145m2 with balcony. Within walking distance of the Wilhelminapark and the shops and restaurants that the Burgermeester de Reigerstraat has to offer. Within cycling distance (about 5 minutes) from the Center of Utrecht. Near roads A27, A12. Entrance hall with staircase to the first floor. Landing with toilet. Spacious and bright living room with en suite doors to the conservatory located at the rear which has doors to the balcony (22 m2) located on the northwest. Spacious kitchen with hob, extractor, fridge, freezer and dishwasher. Modern bathroom with freestanding bath, bluestone washbasin with 2 washbasins and a spacious shower. Spacious landing with access to the three bedrooms. Bathroom with a shower and toilet. Boiler room with an extra kitchen. - Suitable for a working single person or a couple with or without children. No rights can be derived from this text and photographs.